Finally, they got to the sixth extra hole, with spectators staying around to watch the drama from mounds beside the No. 18 fairway. After both players made pars on the first five holes Inkster cracked first. She hit he second shot on the dogleg left par-5 into the heather and it took a small search party to find it. Johnson and Inkster dominated the field for the second straight year. Both shot 71s in the second round to finish at 5-under 139 for the regulation 36 holes. 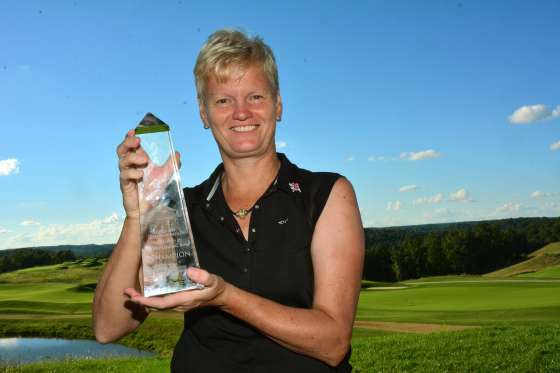 England’s Laura Davies was three shots back in third place but Jean Bartholomew had the best round of the tournament – a 7-under-par 65 – in finished in a tie for sixth. For more information and to view full field scores, visit www.thelegendstour.com. The Legends Tour is the official senior tour of the LPGA. The tour began in 2000 by LPGA professionals to showcase the talents of some of the greatest women’s golfers of all time. The Legends Tour has more than 120 members, including 14 LPGA and World Golf Hall of Fame members. 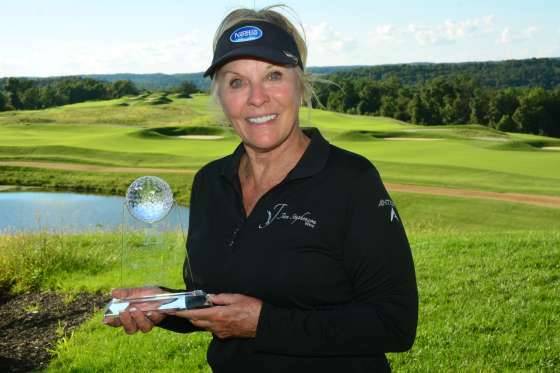 Legends Tour players have over 750 combined LPGA Tour victories, including 84 major championships. In its 16th season, The Legends Tour has awarded more than $13 million in prize money and helped raise over $17 million for charity. The Legends Tour has hosted events in Arizona, Connecticut, Florida, Georgia, Hawaii, Indiana, Iowa, Maine, Mississippi, Massachusetts, Michigan, New Hampshire, New Jersey, South Carolina, Tennessee, Wisconsin, Japan and Australia. For additional information on The Legends Tour, log on to www.thelegendstour.com.